Every weekday, some 400,000 people ride BART. 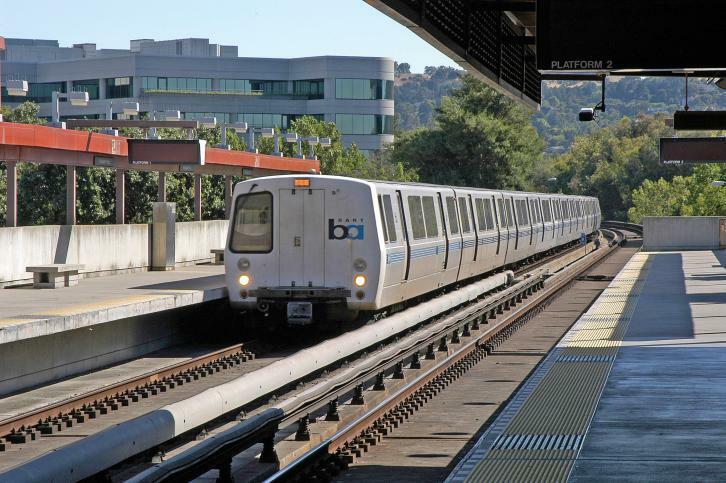 BART forms the backbone of the regional transit network. And as the Bay Area region grows, BART is growing with it. BART train entering Pleasant Hill Station. With the March 2017 opening of BART's extension from Fremont to the new Warm Springs/South Fremont station, the system is on track for a late 2017 arrival in Santa Clara County with two more stations in Milpitas and the Berryessa area of east San Jose. In Contra Costa County, BART is stretching east to Pittsburg and Antioch with a new eBART service that will use modern diesel trains. Future BART projects may include extensions to downtown San Jose and Santa Clara, and from Dublin/Pleasanton to Livermore. Did you know over 35,000 BART customers participated in outreach events during the design phase for BART’s new rail cars? BART aims to transform its Hayward maintenance facility into a state-of-the-art complex big enough to service up to 250 rail cars at a time. The maintenance hub is a key piece of BART’s plan for adding up to 1,081 new cars to its fleet and stretching south into Santa Clara County.